Gone are the days when we could believe that more time put on our job meant more, perhaps, better and more satisfying productivity. We now know there are ways to work smarter beyond adding hours. 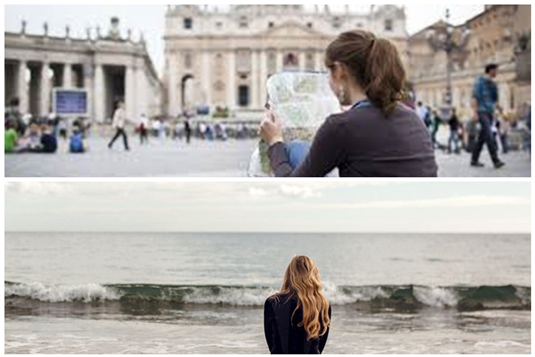 One of these ways is to walk away from your job for a while by planning a vacation or sabbatical. Even the most powerful executives need to step away and recharge. This can be the secret to their success. They’re more productive, creative and refreshed after taking time away. Given his recent antics, perhaps this is what Elon Musk needs, to step away from Tesla for a while. The world of business places too much emphasis on productivity. In studies of life satisfaction among works, respondents indicate they find satisfaction outside the job; this is truest for workers on the lower rungs of the occupational ladder, such as clerks, assistants and salespeople. There’s a huge opportunity for employers to find way to increase on-the-job satisfaction for workers; this might mean longer vacations or sabbaticals, even for blue-collar workers. No matter the colour of the collar a worker wears, it’s usually up to the individual to find quality of life and new experiences off the job. Stepping away from work can give you both. If you consider the many reasons for taking a vacation or sabbatical, it will be hard not to start planning for one. First, take care of your physical health. Stress manifests in physical as well as mental ways. The daily schedule and demands of most, if not all, jobs cause stress. Give your body a chance to lie around or hike around, if that’s what feels good, for at least a few days in a row; it can do wonders for your stress levels. A weeklong vacation gives you a chance to catch up on rest and recover from fatigue. A vacation or sabbatical has mental health benefits. Who doesn’t feel happier after a few days or weeks away from work? Even if you love your job, the change of pace and time to pursue whatever else brings you joy offers a mental health boost. The positive effects of a vacation extend beyond the trip itself. Planning and anticipating vacations are almost as enjoyable as the trips. Looking memories of such experiences will be pleasurable, too. Develop hobbies and skills. There’s never enough time for fun activities after work and on weekends. Non-work responsibilities too often creep into free time. A vacation or sabbatical can be the perfect opportunity to pick up a musical instrument, start learning a new language, write or take an art class. Some pursuits, such as learning to play the sitar, are best suited for a sabbatical, when you have a few weeks or months of ostensibly uninterrupted time to learn. Yet, if you’re trying to get over the initial hump of starting something new, even a one- or two-week vacation gives you enough distance from the excuses you usually use to avoid getting started. An old bromide suggests a change is as good as rest, so think of changing your career or its direction. If you’re not sure where you want to be occupationally, a sabbatical offers time to explore your other options. Remember, your boss needn’t know this is what you’re doing on vacation or sabbatical. When you’re away from your job, you could intern or pursue training in a field of interest to see if it’s the next step and if you want to take it. Ensure you balance work with life. A rest also gives you the chance to look at your work-life balance and make sure you’re focusing your energy where it’s most important. Sabbaticals offer a refreshing change of perspective that may push you to make long-term changes. You have many options. Spend time with you family. Speaking of long-term changes, a common desire is to have more time for family. A vacation gives you just that, whether you take a trip to a different country or simply a staycation at home, where you can cook or lounge together. The experiences you share during these periods will strengthen your family relations and give you more to appreciate about the people in your life. One criticism of George Washington was that he never travelled abroad; he spent his life on the east coast of the USA. The well-travelled Alexander Hamilton helped fill in the gap for Washington. Still, there are few life-changing, life-improving activities as travelling. Thus, expand your social world. Travelling has its own social rules and is a great way to meet people outside your circle; people whom you’d never cross paths, otherwise. Travellers to foreign countries share the bond of being travellers and are often interested in each other as well as the places visited. Travelling offers bonuses, too. You might make friends in other countries that will host you on your next vacation and vice versa. Even if you’re staying close to home, time away gives you the opportunity to attend social events you’d otherwise skip and expand your local connections outside the office. Take a break from sitting. Much as you might love your job, sitting at a desk day in and day out is hard on the body, as well as exhausting. A vacation is a perfect time to get out in the world and do something different, whether that’s mountain climbing, surfing, an extreme sport or leisurely biking along a boardwalk. There is no shortage of activities to choose from, no matter your fitness level. Alternatively, if you spend time at a computer arrange a new desk or buy a varidesk; many styles are readily available. You can then stand or sit, as you wish, when you work. A change is as good as a rest. Boost your creativity, with a change of scenery or routine; even small changes, walking from one room to another, gets the brain working in new directions. Downtime is when our brains can play around with ideas, impressions and experiences in ways that yield new ideas. Combine travel to a new locale with the mental bandwidth that comes with a break from work. This is an ideal recipe for an uptick in creative thinking. Remember, creativity is less about trying than it is about exposing yourself to a wide variety of experiences; new influences lead to new thoughts. Stepping away from your job, whether for a few days or a few weeks, is an opportunity to experience more of life, start or rediscover what brings you joy; you might even find a new line of work you didn’t realise existed. Not only will a vacation or sabbatical improve your quality of life, but it will also energize you for your return to work. You might come back with new visions and solutions or just more readiness to work on challenging roadblocks. Go plan your next break from work.